Emily Gallagher (E-RYT-500) Emily’s yoga practice evolved from a life-long pursuit of motion. She was a three-season college athlete in college, became a competitive runner in graduate school and now makes space daily for recreational running, biking, or swimming. Her yoga practice began in 1996 when her sister gave her yoga videos and a mat for Christmas. 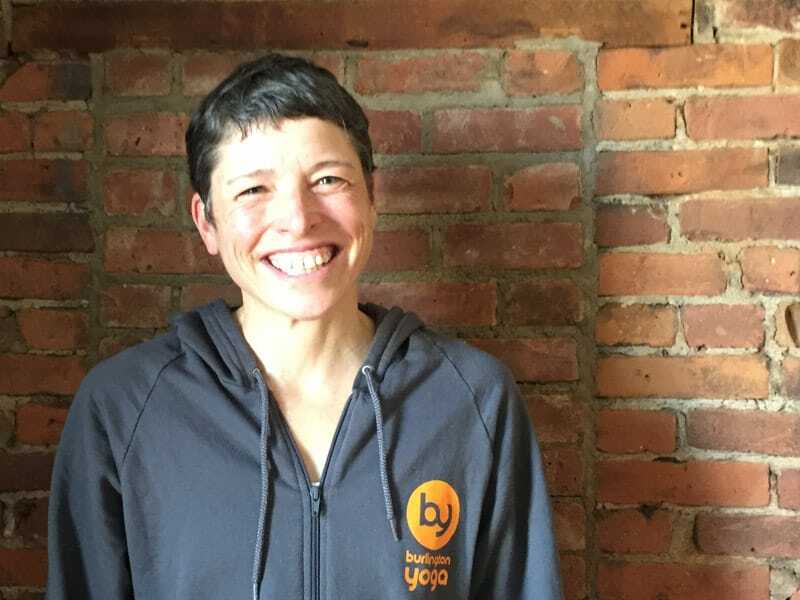 It was a few years before she found her way to Burlington Yoga and became hooked on Piper’s classes: the athleticism, the attention to alignment and the deep yogic foundation. Nothing but distance running had ever approached the physical and mental well-being accessible through an intentional yoga practice. ​Driven to learn more about the theory and practice of yoga, Emily completed the 200 Hour Burlington Yoga Teacher Training program in 2012, the 500 Hour Burlington Yoga Teacher Training in 2018 and currently assists in the RYTT at Burlington Yoga. She is thrilled to share yoga with others, whether as a student or as a teacher.